The BBC covers the ongoing battle between Boko Haram and the Nigerian military that threatens to destabilize Nigeria. Witnesses say suspected Islamic militants killed 12 civilians in weekend attacks on two Christian villages in Muslim-dominated northeast Nigeria. One attack targeted a wedding party. A daughter of Nobel Laureate Prof. Wole Soyinka, Iyetade, is dead. A statement signed on behalf of the family by a former Editor of the Guardian on Sunday, Mr. Jahman Anikulapo and a close aide to Soyinka, stated that Iyetade, a mother of two, died while receiving treatment for an undisclosed ailment at the University College Hospital, Ibadan, the Oyo State capital. Born on June 6, 1965, the deceased, according to Anikulapo, attended Staff School and Queens School, Ibadan before reading Medicine at the University of Ibadan. He described Iyetade as an “affable, intelligent and sometimes capricious,” lady who “struggled with her health in recent years. “In spite of this, she greeted every day with a smile and doted on her two children. She took ill quite suddenly and passed away while being treated at UCH, Ibadan. Iyetade leaves behind two children, both parents, numerous siblings, nieces and nephews,” the statement added. The statement did not, however, disclose burial plans for the deceased. Nigeria's military said on Tuesday it had killed at least 50 Islamist rebels fleeing towards Cameroon in a battle in which 15 of its own soldiers and five civilians also died. Nigerian forces have stepped up an offensive in the volatile northeast in the past few days, after Boko Haram fighters armed with grenade launchers and anti-aircraft guns attacked an army barracks in the town of Bama on Friday. Boko Haram is fighting to revive a medieval Islamic caliphate in today's religiously-mixed Nigeria, a major oil producer and one of Africa's largest economies. The group rarely talks to the media but occasionally sends video statements anonymously. The military often reports significant casualties among insurgents, while rarely admitting losses among its own troops or civilians. The figures it gave for Monday's battle near the Cameroon border could not immediately be verified. Defence spokesman Brigadier General Chris Olukolade said the military had targeted insurgents behind Friday's Bama attack and that 20 vehicles used in that raid had been spotted from the air and destroyed. "Although a good number of the insurgents escaped with bullet wounds, while some have been arrested, over 50 of them died in the course of exchange of fire with ground troops in the operations to apprehend fleeing terrorists," he said. Thousands have died violent deaths since Boko Haram launched an uprising 2009, but the past few months have been the most violent, with hundreds of civilians killed by the insurgents since August. Some details on the toll from the Bama attack emerged from Maiduguri Teaching Hospital, the main mortuary for the region. An attendant told Reuters Friday's attack left at least 20 soldiers dead. The military had not disclosed any death toll from the attack. "There is no space left in the mortuary because the military brought in more than 20 dead soldiers killed in the Bama attack," the mortuary attendant, who declined to be named because he was not authorized to speak, said. "These four were left on the floor as we're waiting for space to be created before we put them in," he added, gesturing to four bodies wrapped in shrouds. 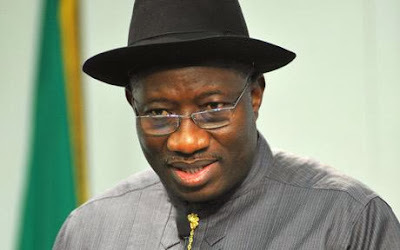 President Goodluck Jonathan last month extended a state of emergency in areas worst affected by the insurgency. The military began an offensive in May that initially drove the Islamists from large parts of the northeast, but they fell back into the hilly area of Gwoza, near the Cameroon border, from where they have launched deadly counter-attacks. Boko Haram is still seen as the main security threat to Nigeria, Africa's leading energy producer. The group claimed responsibility for a coordinated strike on December 2 on the air force base and military barracks in the main northeastern city of Maiduguri in the first major assault on the heavily guarded city this year. Fearing Boko Haram attacks over Christmas, Nigerian police have ordered extra patrols, surveillance and covert operations to protect potential targets. President of the Nigerian Medical Association (NMA), Dr. Osahon Enabulele, yesterday said doctors in public hospitals would end their five-day warning strike and resume duty today. Enabulele, in a statement in Lagos, said all doctors in the public health sector would resume full services with effect from 8 a.m. on December 23. The NMA had on December 15 directed its members to embark on the nationwide strike. The action was to protest against the doctors' poor working conditions, inadequate funding, and poor infrastructure in the nation's health sector. "NMA wishes to inform the general public that doctors in the public health sector will resume services from December 23. "This is in line with our earlier promise to give prime consideration to the Yuletide season in the prosecution of our warning strike. "Also, to give another opportunity for the federal government to concretely resolve all the demands of NMA for which it first issued a 21-day ultimatum on September 2," he said. According an online news medium, Freedom Online, Enabulele called on the federal government to ensure that the demands of doctors were met. "Nigerian doctors shall not hesitate to commence a full blown strike from 8 a.m. on January 6, 2014, if government does not satisfactorily resolve the demands of doctors. "We fervently call on all well-meaning Nigerians to assist in the resolution of the demands of the NMA," the statement. The demand includes appropriate funding of Nigeria's healthcare system, expansion of universal health coverage to cover all Nigerians and health infrastructure upgrade. Activities in all the government-owned hospitals nationwide were paralysed during the five-day strike by medical doctors. In Lagos, the strike paralysed activities in all the facilities as consultants and resident doctors were unavailable to attend to hundreds of patients who thronged the hospitals. The seventh reason is that the timing of your letter coincided with other vicious releases. The Speaker of the House of Representatives spoke of my “body language” encouraging corruption. A letter written to me by the CBN Governor alleging that NNPC, within a period of 19 months did not remit the sum of USD49.8bn to the federation account, was also deliberately leaked to the public. The eighth reason is that it appears that your letter was designed to incite Nigerians from other geo-political zones against me and also calculated to promote ethnic disharmony. Worse still, your letter was designed to instigate members of our party, the PDP, against me. Let me now comment on the issues you raised. In commenting I wish to crave your indulgence to compare what is happening now to what took place before. This, I believe, will enable Nigerians to see things in a better perspective because we must know where we are coming from so as to appreciate where we now are, and to allow us clearly map out where we are going. At a stage, almost the entire North-East of Nigeria was under siege by insurgents. Bombings of churches and public buildings in the North and the federal capital became an almost a weekly occurrence. Our entire national security apparatus seemed nonplussed and unable to come to grips with the new threat posed by the berthing of terrorism on our shores. More uncharitable persons may even see a touch of sanctimoniousness in your new belief in the carrot and stick approach to overcoming militancy and insurgency. You have always referred to how you hit Odi in Bayelsa State to curb militancy in the Niger Delta. If the invasion of Odi by the Army was the stick, I did not see the corresponding carrot. I was the Deputy Governor of Bayelsa State then, and as I have always told you, the invasion of Odi did not solve any militancy problem but, to some extent, escalated it. If it had solved it, late President Yar’Adua would not have had to come up with the amnesty programme. And while some elements of the problem may still be there, in general, the situation is reasonably better. Having said that, let me remind you of some of the things we have done to curb violent crime in the country. We have reorganised the Nigerian Police Force and appointed a more dynamic leadership to oversee its affairs. We have also improved its manpower levels as well as funding, training and logistical support. We have also increased the surveillance capabilities of the Police and provided its air-wing with thrice the number of helicopters it had before the inception of the present administration. The National Civil Defence and Security Corps has been armed to make it a much more effective ally of the police and other security agencies in the war against violent crime. At both domestic and international levels, we are doing everything possible to curb the proliferation of small arms and light weapons with which armed robberies, kidnappings and piracy are perpetrated. We have also enhanced security at our borders to curb cross-border crimes. Perhaps, the most invidious accusation in your letter is the allegation that I have placed over one thousand Nigerians on a political watch list, and that I am training snipers and other militia to assassinate people. Baba, I don’t know where you got that from but you do me grave injustice in not only lending credence to such baseless rumours, but also publicizing it. You mentioned God 17 times in your letter. Can you as a Christian hold the Bible and say that you truly believe this allegation? Regarding the over 1,000 people you say are on a political watch list, I urge you to kindly tell Nigerians who they are and what agencies of government are “watching” them. Your allegation that I am using security operatives to harass people is also baseless. Nigerians are waiting for your evidence of proof. That was an accusation made against previous administrations, including yours, but it is certainly not my style and will never be. Again, if you insist on the spurious claim that some of your relatives and friends are being harassed, I urge you to name them and tell Nigerians what agencies of my administration are harassing them. That corruption is an issue in Nigeria is indisputable. It has been with us for many years. You will recall that your kinsman, the renowned afro-beat maestro, Fela Anikulapo-Kuti, famously sang about it during your first stint as Head of State. Sonny Okosun also sang about corruption. And as you may recall, a number of Army Generals were to be retired because of corruption before the Dimka coup. Also, the late General Murtala Muhammed himself wanted to retire some top people in his cabinet on corruption-related issues before he was assassinated. Even in this Fourth Republic, the Siemens and Halliburton scandals are well known. The seed of corruption in this country was planted a long time ago, but we are doing all that we can to drastically reduce its debilitating effects on national development and progress. I have been strengthening the institutions established to fight corruption. I will not shield any government official or private individual involved in corruption, but I must follow due process in all that I do. And whenever clear cases of corruption or fraud have been established, my administration has always taken prompt action in keeping with the dictates of extant laws and procedures. You cannot claim to be unaware of the fact that several highly placed persons in our country, including sons of some of our party leaders are currently facing trial for their involvement in the celebrated fuel subsidy scam. I can hardly be blamed if the wheels of justice still grind very slowly in our country, but we are doing our best to support and encourage the judiciary to quicken the pace of adjudication in cases of corruption. Baba, I am amazed that with all the knowledge garnered from your many years at the highest level of governance in our country, you could still believe the spurious allegation contained in a letter written to me by the Governor of the Central Bank of Nigeria, and surreptitiously obtained by you, alleging that USD49.8 billion, a sum equal to our entire national budget for two years, is “unaccounted for” by the NNPC. Since, as President, you also served for many years as the Minister of Petroleum Resources, you very well know the workings of the corporation. It is therefore intriguing that you have made such an assertion. You made a lot of insinuations about oil theft, shady dealings at the NNPC and the NNPC not remitting the full proceeds of oil sales to the of CBN. Now that the main source of the allegations which you rehashed has publicly stated that he was “misconstrued”, perhaps you will find it in your heart to apologise for misleading unwary Nigerians and impugning the integrity of my administration on that score. Your claim of “Atlantic Oil loading about 130, 000 barrels sold by Shell and managed on behalf of the NPDC with no sale proceeds paid into the NPDC account” is also disjointed and baseless because no such arrangement as you described exists between Atlantic Oil and the Nigeria Petroleum Development Company. The NPDC currently produces about 138, 000 barrels of oil per day from over seven producing assets. The Crude Oil Marketing Division of the NNPC markets all of this production on behalf of NPDC with proceeds paid into the NPDC account. I am really shocked that with all avenues open to you as a former Head of State for the verification of any information you have received about state affairs, you chose to go public with allegations of “high corruption” without offering a shred of supporting evidence. One of your political “sons” similarly alleged recently that he told me of a minister who received a bribe of $250m from an oil company and I did nothing about it. He may have been playing from a shared script, but we have not heard from him again since he was challenged to name the minister involved and provide the evidence to back his claim. I urge you, in the same vein, to furnish me with the names, facts and figures of a single verifiable case of the “high corruption” which you say stinks all around my administration and see whether the corrective action you advocate does not follow promptly. And while you are at it, you may also wish to tell Nigerians the true story of questionable waivers of signature bonuses between 2000 and 2007. While, by the Grace of God Almighty, I am the first President from a minority group, I am never unmindful of the fact that I was elected leader of the whole of Nigeria and I have always acted in the best interest of all Nigerians. You referred to the divisive actions and inflammatory utterances of some individuals from the South-South zone and asserted that I have done nothing to call them to order or distance myself from their ethnic chauvinism. Again, that is very untrue. I am as committed to the unity of this country as any patriot can be and I have publicly declared on many occasions that no person who threatens other Nigerians or parts of the country is acting on my behalf. Instigating people to cause problems and disaffection within the party is something that you are certainly familiar with. You will recall that founding fathers of the party were frustrated out of the party at a time. The late Chief Sunday Awoniyi was pushed out, the late Chief Solomon Lar left and later came back, Chief Audu Ogbeh and Chief Tom Ikimi also left. Chief Okwesilieze Nwodo left and later came back. In 2005/2006, link-men were sent to take over party structures from PDP Governors in an unveiled attempt to undermine the state governors. In spite of that, the governors did not leave the party because nobody instigated and encouraged them to do so. The charge that I was involved in anti-party activities in governorship elections in Edo, Ondo, Lagos, and Anambra states is also very unfortunate. I relate with all governors irrespective of political party affiliation but I have not worked against the interest of the PDP. What I have not done is to influence the electoral process to favour our Party. You were definitely never so inclined, since you openly boasted in your letter of how you supported Alhaji Shehu Shagari against Chief Obafemi Awolowo, Chief Nnamdi Azikiwe and others in the 1979 presidential election while serving as a military Head of State. You and I clearly differ in this regard, because as the President of Nigeria, I believe it is my duty and responsibility to create a level playing field for all parties and all candidates. Recalling how the PDP lost in states, where we were very strong in 2003 and 2007, such as Edo, Ondo, Imo, Bauchi, Anambra, and Borno, longstanding members of our great party with good memory will also consider the charge of anti-party activities you made against me as misdirected and hugely hypocritical. It certainly was not Goodluck Jonathan’s “personal ambition or selfish interest” that caused the PDP to lose the governorship of Ogun State and all its senatorial seats in the last general elections. You quoted me as saying that I have not told anybody that I will seek another term in office in 2015. You and your ambitious acolytes within the party have clearly decided to act on your conclusion that “only a fool will believe that statement” and embark on a virulent campaign to harass me out of an undeclared candidature for the 2015 presidential election so as to pave the way for a successor anointed by you. You will recall that you serially advised me that we should refrain from discussing the 2015 general elections for now so as not to distract elected public officials from urgent task of governance. While you have apparently moved away from that position, I am still of the considered opinion that it would have been best for us to do all that is necessary to refrain from heating up the polity at this time. Accordingly, I have already informed Nigerians that I will only speak on whether or not I will seek a second term when it is time for such a declaration. Your claims about discussions I had with you, Governor Gabriel Suswam and others are wrong, but in keeping with my declared stance, I will reserve further comments until the appropriate time. The issue of Buruji Kashamu is one of those lies that should not be associated with a former President. The allegation that I am imposing Kashamu on the South-West zone is most unfortunate and regrettable. I do not even impose Party officials in my home state of Bayelsa and there is no zone in this country where I have imposed officials. So, why would I do so in the South-West? Baba, in the light of Kashamu’s detailed public response to your “open letter”, it will be charitable for you to render an apology to Nigerians and me. On the issue of investors being scared to come to Nigeria, economic dormancy, and stagnation, I will just refer you to FDI statistics from 2000 to 2013. Within the last three years, Nigeria has emerged as the preferred destination for investments in Africa, driven by successful government policies to attract foreign investors. For the second year running, the United Nations Conference on Trade and Investments has ranked Nigeria as the number one destination for investments in Africa, and as having the fourth highest returns in the world. Today, Nigeria is holding 18 per cent of all foreign investments in Africa and 60 percent of all foreign investments in the ECOWAS Sub-Region. Kindly note also that in the seven years between 2000 and 2007 when you were President, Nigeria attracted a total of $24.9bn in FDI. As a result of our efforts which you disparage, the country has seen an FDI inflow of $25.7bn in just three years which is more than double the FDI that has gone to the second highest African destination. We have also maintained an annual national economic growth rate of close to seven per cent since the inception of this administration. What then, is the justification for your allegation of scared investors and economic dormancy? Although it was not emphasised in your letter of December 2, 2013, you also conveyed, in previous correspondence, the impression that you were ignorant of the very notable achievements of my administration in the area of foreign relations. It is on record that under my leadership, Nigeria has played a key role in resolving the conflicts in Niger, Cote d’Ivoire, Mali, Guinea Bissau and others. The unproductive rivalry that existed between Nigeria and some ECOWAS countries has also been ended under my watch and Nigeria now has better relations with all the ECOWAS countries. At the African Union, we now have a Commissioner at the African Union Commission after being without one for so long. We were in the United Nations Security Council for the 2010/2011 Session and we have been voted in again for the 2014/2015 Session. From independence to 2010, we were in the U.N. Security Council only three times but from 2010 to 2015, we will be there two times. With respect to the Brass and Olokola LNG projects, you may have forgotten that though you started these projects, Final Investment Decisions were never reached. For your information, the NNPC has not withdrawn from either the Olokola or the Brass LNG projects. On the Rivers State Water Project, you were misled by your informant. The Federal Government under my watch has never directed or instructed the African Development Bank to put on hold any project to be executed in Rivers State or any other state within the federation. The Rivers State Water Project was not originally in the borrowing plan but it was included in April 2013 and appraised in May. Negotiations are ongoing with the AfDB. I have no doubt that you are familiar with the entire process that prefaces the signing of a Subsidiary Loan Agreement as in this instance. Chimamanda Adichie is supremely smart. She has won the Commonwealth Writers' Prize (for Purple Hibiscus), the Orange Broadband award (for Half of a Yellow Sun), and a MacArthur 'genius' grant. With Americanah, a star-crossed love story that spans three continents, she proves she is also supremely funny. Ifemelu leaves her boyfriend behind in Nigeria to study in the US. After her initial disorienting days as an immigrant and a string of humiliating jobs, she finds an outlet in a satiric blog. "Dear Non-American Black, when you make the choice to come to America, you become black," she writes. She becomes a Princeton fellow and dates a Yale professor. After 13 years her heart brings her back to Lagos, where she is not 'black'. She's Igbo. And Americanah. 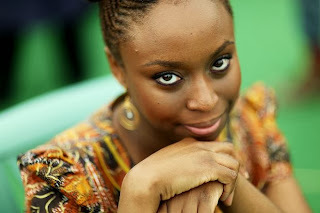 Adichie is fearless when writing about love, hate and shades of blackness. She tempers her directness with wry humour as she holds up a mirror so we can see ourselves. The staff of the Murtala Muhammed International Airport Terminal 2 thrilled their travellers to a flash mob in celebration of the holiday season. Medical workers in Nigeria have begun a five-day warning strike on Wednesday, to force the government to consider its request for needed reforms in sector. To cushion the effect of the strike however, the management of a National Hospital in Abuja says measures have been put in place to mitigate the effect of the five-day warning strike declared by the leadership of the Nigeria Medical Association. The spokesman for the hospital, Dr. Tayo Haastrup, said that patients requiring emergency services would be attended to pending the suspension of the strike action. “Other medical workers are on ground to cushion the effect of the strike,” Dr. Haastrup said. Resident Doctors in Calabar, the Cross River State Capital, are observing the strike. The Vice Chairman, Nigeria Medical Association of Resident Doctors, CMD Teaching hospital Calabar, Thomas Agan, confirmed that the state chapter of the medical association is solidly in support of the strike, saying it is for the overall good of the health sector. In Ondo State, medical doctors in public hospitals also complied with the national warning strike. A visit to the Ondo State Specialist Hospital in Akure by Channels Televisions’ crew revealed that the strike has taken effect. There was absence of a usual busy scene at the premises. The Doctors were not on duty but Nurses and other supporting staff were on ground to attend to the patients. The Chairman, Ondo State Chapter of Nigeria Medical Association, Dr. Dokun Nuel, described the decision of the Doctors to embark on the strike as unfortunate but maintained that the NMA had twice extended ultimatum given to the Federal Government to meet their demands which were still left unattended to. There was full compliance in Edo State, as doctors were not present at hospitals visited by Channels Television. In Edo State, the Vice Chairman, Nigeria Medical Association, Edo State branch, Dr. Sunday Yerimo, giving reasons for the nationwide industrial action, explained that the Health sector needed revitalisation in order to render quality service to Nigerians. According to Dr. Yerimo, Nigerian Medical institutions need total transformation. “Government should provide the needed finances to train workers and upgrade its facilities,” he said. The Nigeria Medical Association in a communique issued in Minna after its National Executive Council’s meeting said the association was constrained to declare an industrial action with effect from Wednesday, December 18, 2013 in recognition of the extremely poor progress in the resolution of the demands of the association. The associations last ultimatum issued to the government expired on Saturday, December 14, 2013 and the association is insisting that there is no going back on their demands. After the meeting of the union on Sunday the president, Dr. Osahon Enabulele, said: “Nigerians need to rise up to their responsibility, demand answers to some of these issues that are confronting our governmental system. We cannot have a government that says they are building up yet they seem to be in slumber over issues that affects fortune, destiny and value of our country. “We have a responsibility to our members as much as we also have a responsibility to our society. We cannot allow this to continue, we have a limit to issuance of ultimatum otherwise it would seem as if we do not understand the strategy of engagement”, Enabulele appealed to the public. He further appealed to members of the public to bear with the union during the period of the strike. The association has bemoaned the abysmal six per cent health coverage of Nigerians and has called on the government to urgently invest more in the health of Nigerians through a Universal Health Fund. It stressed the need for a government sponsored Hospital Development and Intervention Fund (HDIF) in the health industry to drive the development of modern and world class health infrastructure in Nigeria and put an end to medical tourism. A five-month strike by lecturers which closed all public universities in Nigeria has been called off after the government paid for refurbishments. Lecturers are returning to work because the government had deposited money into a development fund for campuses, union leaders said. The government had initially pledged to spend $1.3bn ($800m) to refurbish badly maintained public universities. Nigeria is Africa's main oil producer, but its infrastructure is poor. Education Minister Nyesom Wike had threatened to dismiss lecturers who failed to return to work by 4 December. However, members of the Academic Staff Union of Universities (ASUU) defied the ultimatum, continuing with the strike until it was called off on Tuesday. ASUU has received proof that the government had deposited a significant amount of the $1.3bn into a fund at the central bank, union leaders are quoted by local media as saying. "We implore our members to go back to class and the government to keep to every part of the agreement," ASUU official Karo Ogbinaka told the private news station Channels. About 1.2 million students study at Nigeria's public and private universities, AFP news agency quotes the National Universities Commission as saying. The Federal Government is to prosecute telecommunications operators, found to be fleecing subscribers through poor service delivery. The Minister of Communications Technology, Mrs Omobola Johnson, made the announcement at a news conference in Lagos on Monday. She said the ministry had commenced collaboration with the Consumer Protection Council (CPC) to sanction operators rendering poor services or collecting charges from subscribers for services not rendered. "The ministry, the Nigerian Communications Commission (NCC) and the CPC are now working together to deliver appropriate customer redress to telecoms subscribers. "These will include but not limited to rebate on airtime, usage irregularities, inaccurate billing and options to opt out of unsolicited SMS messages," the News Agency of Nigeria (NAN) quotes her as saying. She said over 120 millions telecoms subscribers in the country had been at the receiving end of poor service delivery that had made it impossible for them to make or receive calls. The minister said that subscribers had also been at the receiving end of insufficient customer care lines, unrelenting sales promotions by the networks and deceptive broadband speed adverts by service providers. Johnson said that the imposition of fines on the service providers for which the NCC collected N1.7 billion 18 months ago had not made the companies to provide better services. She noted, however, that the ministry had reached out to state governments to reduce the multiple taxation imposed on the telecoms operators, saying that the cost of right of way on federal highways had been reduced by about 90 per cent. "We have also negotiated an agreement with State Governments to reduce cost of right of way on state highways and for them to also reduce the charges on infrastructure," she stated. She said that the ministry had since reached understanding with the Lagos, Ekiti, Cross River and Rivers Government on outright waivers on some charges imposed on telecoms providers. According to her, the Federal Executive Council has also approved a new bill on cyber crime which has severe penalties for wanton destruction of telecommunications infrastructure. The NCC Executive Vice Chairman, Dr Eugene Juwah, said the commission had issued a Dec. 31, 2013 deadline to stop telecom operators from selling SIM packs or expanding their networks if they failed to improve services. The Director-General of the CPC, Mrs Dupe Atoki, said the council had constituted a consumer education taskforce to enlighten consumers on their rights and privileges. Atoki pleaded for more funds from the Federal Government to enable the CPC to work harder to achieve the goals for which it was established, assuring Nigerians that the company would live up to expectations. Born and raised in Nigeria, jewelery designer Chris Aire shares his journey of leaving Nigeria and chasing the American dream. How do you battle the challenge of competition in your African destinations? Yes, African market is very competitive; customers in Africa now have more choice ever than they have had ever before, especially from Lagos to United States. We have to compete and earn customers business and Delta has a lot of perks. First of all, we’ve got aircraft that have a lot of varieties in the interior. So, from Lagos, we have 10 or 11-hour journey: in the economy class cabin, we have a lot of movies and television shows or options, USB, power on every seat because today, everybody gets on the airline with phones or a device you need to plug your devices. We have also spent a lot of effort in the six years we have come to Africa, especially in Nigeria, we concentrate on satisfaction on board for customers. In our business class cabin we have about four seats, it’s great for rest, passengers in the business class are able to move around, they arrive refreshed at their destinations. The other advantage is that every seat has direct isle access; you don’t have somebody between you and the isle, you can move in and out as you wish. There is privacy. Here on the ground in Lagos, we offer protocol services, which help premium passengers get through the airport to the lounge, it offers passengers the opportunity to refresh, especially when they arrive the airport in time. In Atlanta, we have opened our new terminal for passengers; there is a quick immigration process, easy connections to anywhere in the US cities, when you add all these together, I think it is a very competitive and appealing offer. Nigerian market is huge for a couple of reasons: In the business environment, there is growing ties between Nigeria and US, that is a natural need. Nigeria is a big country, it is not just Lagos, there are other cities in demand for travel to US. Accra is a growing market, the business environment there is different from Nigeria, we have a lot of ties between US and Ghana and one of the reasons we use Accra a little more often is because it is a little shorter in distance, Lagos is a little further. But in general, the opportunity in Africa is huge, as an American business person, you find the business environment wake up to the opportunity, the oil business has been here for a long time, the opportunities is becoming more well known in America than ever before. Back in July, we completed investment in Virgin Atlantic with 49 per cent and Richard Branson owns the other 51per cent, it is a huge step at building our presence on the Atlantic with particular presence in London. Initially, our focus with Virgin Atlantic was in developing traffic in Canada and UK, it could extend beyond that, but now we have Virgin in our frequent flyer programmes, members can earn miles on Virgin flight; we are having a growing affiliation with Virgin, with new benefits for customers in Lagos and other parts of the world, it is a great brand. How will US American Airways merger affect your operation? For sure, the new merger will bring new competition, but that notwithstanding, we welcome completion but that does not affect us, it makes us stronger but we feel we will have an advantage because we went through a merger with Northwest, completed in 2010 and so we have got four years ahead of them in bringing our companies together. We have gone through the challenges of the fusion so for the next few years they will be distracted with the internal challenges of merger and our present opportunities for us to widen the horizon and forge ahead. The best way to deal with the competition too is to continue to do what we have been doing, making sure that our products and customers services improve constantly. This year, Delta Air Lines won the 13th Business Travel and News award for the third year, that shows the kind of gap we are building in terms of customer and who they chose to travel with, the quality our scheduling, our networks and products, we have been focusing on the customer. We do recognise that there are things we cannot look away from. When you talk of customer satisfaction, we collected data from IATA, Delta has clearly moved ahead of the US industry, we are within the number three index in terms of customer satisfaction. The other measure is in the ability of Delta to fill up their planes with business premium customers and that in turn allows us to generate a better margin than our competitors. In the US, Delta represents 40 per cent in terms of profitability in the US airlines industry, our profitability in the third quarter is huge and that is because customers are prepared to pay us more for the services and products we offer in the business premium area, which is what we have been focusing on. And that is what we are doing in Nigeria to build stronger market. We listen to our customers and we try to find out how we can serve them better. This is what really differentiates us from the other airlines because we understand that the loyalty is going to be based on something really tangible. So they fly with Delta for better service and they are willing to pay a little bit more. Talking about competition, before American airlines started coming to Africa, European carriers have been taking Nigerians to various US destinations, but you guys came and took this juicy market from them. What is your projection on the growth of the US, African market in the next 10 to 15 years? We are here and determined to be here. We believe connecting Africa to the US is a key business …for both countries and our early entry into this market has been really helpful in facilitating economic ties between the two continents and as that begin to develop. Africa has been growing considerably across economies . We felt it was necessary way back to be here and we are constantly refining our products, making sure that its right and as the economies grow, we have come to look at the right market such as Lagos, Ghana, South Africa. We have airlifted about 675,000 people from Lagos between the US and Nigeria. I think we are here for the long haul. We have gone through the introductory phase and we have got over six years of experience, which indicated that this is not a short-term strategy for Delta. We have a lot of opportunity to grow. In Lagos we add bigger airplanes and we can add more frequencies per week when we think the time is right and the opportunity is good and we got the ability to grow. We are also working at other cities in Africa that we think, like Lagos could support our answer of our service back to the United States. So we have a list of cities that in the coming years we will add to the Delta network and expand our presence. We have been talking to a lot of our customers in the last 48 hours. They were telling us that it was an amazing thing that Delta opened the route because for all of them; they used to go via Europe and constantly they face the transit situation and have complicated trip. But here it is so much easier. Sometimes we may not understand the commercial and economic implication but we are learning that what we have done is to provide for many Africans what they want to do: they want to go from Africa to the United States and come back straight, non-stop with good service onboard and with our catering for African taste. And these are the things we have been learning since the past six to seven years. When I look back I recall the way we started with our service. Today we have Africanised the service as much as we can to make it relevant to the people that are flying the aircraft. We cater to the specific needs of the market. We need to understand what the African market wants. People are saying they don’t want to go back to the old times and we don’t want them to go back. Delta Air Lines is engaged in building airport facility in Monrovia and Accra, what is your corporate social responsibility (CSO) in Nigeria? In the case of Accra and Monrovia we work with the airport authority to invest in the holding area for passengers before they board. Here in Lagos, we are not having a problem in the gate place which is adequate for our customers. In the case of Lagos, it is about having enough space because as the customers grow you will need to have enough for passenger facilitation. But in general, we are pleased with the operation we have in Lagos. We are pleased with the project going on now to replace the baggage belt, which is good improvement for your airport and for us. The airport has been helpful for us to meet our operational needs for our airlines to fly safely and have god on time departures and arrivals. On corporate social responsibility, for three years we have had an internship programme here in Lagos as well as the other places we fly in Africa. We take young business students and we bring them into our business and we teach them how to make them members of the team for certain period and we teach them how to work in an international company, managing commercial matters and we teach them in the course of one year. We give them the opportunity to travel to Atlanta, our headquarters to learn more on what happens in our business. One of them in Nigeria is working on Ministry of Foreign Affairs and we make them good Delta ambassador as well. We are also looking at the project we will introduce in 2014 but it is still in the formation stage. So I am not in a position to discuss it in detail but it is an opportunity for Delta to contribute to the communities that we serve because. We feel that it is an important thing to do. We have taken up several projects in Africa since the six years we have been in operation here but we are looking forward to refresh the commitment. When are you going to change the aircraft type you bring to Nigeria? When we see the need to change it we do so. We operate Boeing B767-300 and we sell almost 3000 seats a week in our flight between Nigeria and the United States. It is a great airplane. We spent a lot of money to bring the interior up to state of the art; inflight entertainment system. But if we decide we need a bigger airplane on that route we can put another airplane on the route; that is not a problem. You declared good profit in your third quarter result. What are the factors that made this possible? Here, we had great third quarter results and now that the fourth quarter is nearly done, I can say we going to have great year because the profit in the fourth is also going to be very strong and some factors contributed to that success. One will be meeting customer demand. There is a very high customer satisfaction, so customers are attracted to Delta and we are the first choice for customers and that is a good position. We have very good capacity management so capacity been relatively flat with good balance of supply of seats and demand. We are running a great operation. In 2013 we had almost 70 days in a year where we have 100 per cent completion factor. Network of our size should be about 4,000 flights a day and we have 70 days where there was no single network consideration. So we are running operation much more reliable than our US competitors. As Nigeria's economy grows -- 6 percent this year -- so does the wealth of some of it's citizens. The wealthy few no longer have to shop abroad for their luxury staples because those brands are setting up shop in the African country to tap into the top spenders. Nigerian President Goodluck Jonathan's office has hit back at ex-leader Olusegun Obasanjo for a "provocative" letter condemning his leadership. In the leaked letter, Mr Obasanjo warned Nigeria could slide back to military rule because of Mr Jonathan's failure to tackle myriad problems. It would be "morally flawed" for him to seek re-election in 2015, he added. The presidency said Mr Obasanjo's attack was "reckless, baseless, unjustifiable and indecorous". Mr Obasanjo's attack - the harshest since he stepped down as leader in 2007 - was a clear attempt to thwart Mr Jonathan's chances of being nominated again as the governing People's Democratic Party's (PDP) candidate for the 2015 poll, correspondents say. The PDP has been hit by serious in-fighting ahead of the election. A powerful faction of state governors have broken away to join the opposition All Progressives Congress (APC). The PDP now has fewer governors supporting it than the opposition. In the 18-page letter widely covered in the local media, Mr Obasanjo accused Mr Jonathan of failing to deal with the many problems facing Nigeria - including corruption, piracy, kidnapping and oil theft. "I want nothing from you personally except that you should run the affairs of Nigeria not only to make Nigeria good, but to make Nigeria great for which I have always pleaded with you and I will always do so. And it is yet to be done for most Nigerians to see," Mr Obasanjo wrote. He added that he was speaking out because he was concerned that Nigeria was moving in the wrong direction. "I could sense a semblance between the situation that we are gradually getting into and the situation we fell into as a nation during the Abacha era," he said, referring to ex-military ruler General Sani Abacha. He ruled Nigeria with an iron fist from 1993 to 1998, when he died. He jailed Mr Obasanjo for allegedly plotting a coup against him and ordered the execution of leading human rights activist Ken Saro-Wiwa. Mr Jonathan's spokesman Reuben Abati said it was "highly unbecoming, mischievous and provocative" to leak the letter to the media and it was a deliberate effort to "impugn the integrity of the president". Mr Jonathan would respond in due course to "the most reckless, baseless, unjustifiable and indecorous charges levied against him and his administration", Mr Abati said, in a statement. Mr Obasanjo, a former military ruler, won democratic elections in 1999 and 2003 on the platform of the PDP. He won elections the following year. 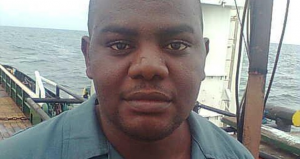 Ship's cook Harrison Okene, 29, was on board the Jascon-4 tugboat when it capsized on May 26 due to heavy Atlantic ocean swells around 30 km (20 miles) off the coast of Nigeria, while stabilizing an oil tanker filling up at a Chevron platform. Of the 12 people on board, divers recovered 10 dead bodies while a remaining crew member has not been found. Somehow Okene survived for 2 days, breathing inside a four foot high bubble of air as it shrunk in the waters slowly rising from the ceiling of the tiny toilet and adjoining bedroom where he sought refuge, until two South African divers eventually rescued him. In keeping with tradition, youtube has released it's 2013 edition of Youtube Rewind. An annual list of the most popular videos uploaded to youtube. 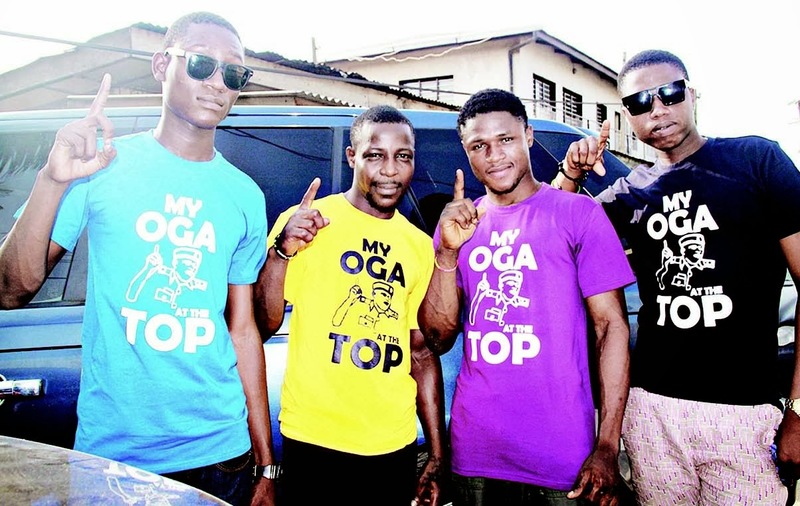 For all the most popular 2013 Nigerian videos on youtube click here. 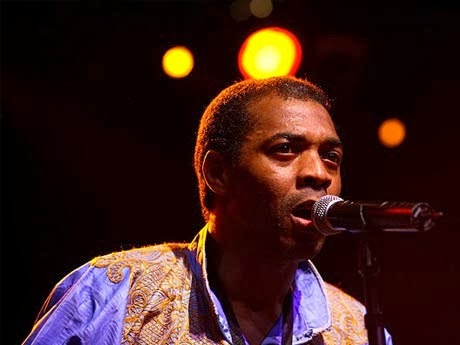 Once again Nigeria’s Afrobeat icon Femi Kuti has been norminated in the Best World Music Album Category of the 56th Annual Grammy Awards which will place on the 14th of January next year. The National Academy of Recording Arts & Sciences releases the list for the 56th Annual Grammy Awards last week for recordings released during the Eligibility Year October 1, 2012 through September 30, 2013. Femi Kuti’s album ‘No Place For My Dream’ was nominated for the 2014 Grammy Awards in the “Best World Music Album” Category. The last time he was nominated in 2012 Femi Kuti had said that he will never attend the Grammys again. And that if he wins let them bring it to him in Africa. In Nigeria, 60 million people own generators to provide electricity for their homes and businesses. People in Nigeria have been paying tribute to Nelson Mandela. Tens of thousands attended churches and other places of worship across the country on Sunday. Nigeria's President Goodluck Jonathan has declared three days of national mourning to commemorate the former South African leader. The Nigeria national team, the Super Eagles has been drawn alongside football giant, Argentina, first timers; Bosnia-Herzegovina and Iran in the group F of Brazil 2014 World Cup. This would be the fourth time the Super Eagles will be drawn against Argentina in the first round of a world. Nigeria was draw against the same country in USA 94, Korea Japan 2002, South Africa 2010. The Super Eagles has lost all their matches against Argentina in a World Cup match. In Nigeria, Boko Haram fighters have attacked the international airport and an airforce base in Maiduguri in Borno State. Military and government officials say dozens of people may be dead, including more than twenty of the gunmen. Three aircraft, two helicopters and several cars were hit in the pre-dawn attack. President Goodluck Jonathan on Friday arrived in Paris, France, to join other world leaders that are participating in a summit on peace and security in Africa. Also the President has declared three days of national mourning for former South African President, Dr. Nelson Mandela who passed away yesterday. 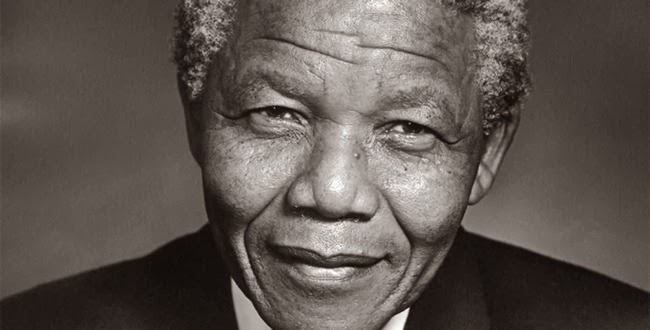 Flags are to be flown at half-mast across Nigeria during the period and President Jonathan urges all Nigerians to unite in solidarity with the brotherly people of South Africa as they mourn the great liberator, freedom fighter and hero of the black race. The President also calls for special prayers in mosques and churches in Nigeria during the period of mourning which begins today, for the peaceful repose of Dr. Mandela’s soul. A special inter-denominational memorial service for Dr. Mandela will be held at the State House Chapel on Sunday. The president and his entourage arrived at a Military Airforce Base in Paris at about 10.30 a.m.
Jonathan was accompanied by the First Lady, Dame Patience and some Presidential Aides. He was received at the airport by the Minister of State for Foreign Affairs, Dr Nurudeen Mohammed, and the Nigerian Ambassador to France, Mr Hakeem Suleiman. No fewer than 50 Heads of State and Government are participating in the Elysee Palace Summit being hosted by President Francois Hollande of France. The UN Secretary General, Ban Ki-moon, heads of European institutions and leaders of Africa’s sub-regional and continental organisations such as the AU and ECOWAS are also participating in the summit. The summit is scheduled to discuss peace and security in Africa, economic partnership, sustainable development and climate change. Hollande and Mrs Valerie Trierweiler are billed to host all heads of delegation to the summit and their spouses to a state dinner. Nigeria’s first lady Patiece will participate in an advocacy meeting on sexual violence against women in conflict to be hosted by Trierweiler at the Orsay Museum in Paris. It will be recalled that the president and the first lady had on Tuesday left Abuja for Paris, but had a stopover in Germany for a private visit. Nigerian police said on Wednesday that they raided a home and freed 16 pregnant girls and young women allegedly being forced to have babies to be sold. "We carried out a raid on a residence in Owerri following an intelligence report and rescued 16 expectant mothers," Imo State police spokeswoman Joy Elomoko told AFP. "The girls were between 14 and 19 years old and in different stages of pregnancy." The male owner of the home, who was arrested, had registered it as a non-governmental organisation promoting women's and children's issues, Elomoko added. An unlicensed automatic pump action shotgun was also recovered during the raid. Elomoko said the rescued women and girls told officers that they were each offered 100,000 naira (632 dollars, 466 euros) to sell their babies after delivery. An investigation was also under way over a case of a missing baby from the illegal home. "We found out that the suspect could not explain the whereabouts of a baby that was recently delivered in the home," the spokeswoman said. "We are suspecting that the baby might have been sold for (black magic) rituals," she said, adding that the suspect would be taken to court after police investigation. Nigerian security agents have uncovered a series of alleged baby factories in recent years, notably in the southeastern part of the country. Last month, six pregnant teenage girls were freed in a raid on an illegal clinic in the oil city of Port Harcourt. Dangote Foundation has commenced disbursement of N540 million micro grants to helpless women and youths in the three emergency affected states of Adamawa, Borno and Yobe State. The grants disbursement was flagged off by the Governor of Borno State, Kashim Shettima and his wife Hajiya Nana Shettima, at Government House, in Maiduguri. Beneficiaries totalled 700 people comprising widows, youths and physically challenged persons. The governor commended Aliko Dangote, the President of Dangote Foundation for "standing by the people of the state in their hour of need. He told the beneficiaries that the money was meant to reduce the hardship they are facing in the aftermath of the insurgency across the state. He urged the beneficiaries to ensure judicious use of the money by going into petty businesses, improve the health of their families. The Managing Director of Dangote Foundation,Dr. Adhiambo Odaga, said the president of the Group was concerned about the plight of the people especially in the insurgent ravaged areas hence the especial focus on the three states. He disclosed that the Foundation is providing a one-off N10, 000 cash transfers to at least 1,000 poor and vulnerable Nigerians in each of the Nigeria's 774 local governments. Ship's cook Okene, 29, was on board the Jascon-4 tugboat when it capsized on May 26 due to heavy Atlantic ocean swells around 30 km (20 miles) off the coast of Nigeria, while stabilizing an oil tanker filling up at a Chevron platform. Of the 12 people on board, divers recovered 10 dead bodies while a remaining crew member has not been found. Somehow Okene survived, breathing inside a four foot high bubble of air as it shrunk in the waters slowly rising from the ceiling of the tiny toilet and adjoining bedroom where he sought refuge, until two South African divers eventually rescued him. "I was there in the water in total darkness just thinking it's the end. I kept thinking the water was going to fill up the room but it did not," Okene said, parts of his skin peeling away after days soaking in the salt water. "I was so hungry but mostly so, so thirsty. The salt water took the skin off my tongue," he said. Seawater got into his mouth but he had nothing to eat or drink throughout his ordeal. At 4:50 a.m. on May 26, Okene says he was in the toilet when he realized the tugboat was beginning to turn over. As water rushed in and the Jascon-4 flipped, he forced open the metal door. "As I was coming out of the toilet it was pitch black so we were trying to link our way out to the water tidal (exit hatch)," Okene told Reuters in his home town of Warri, a city in Nigeria's oil-producing Niger Delta. "Three guys were in front of me and suddenly water rushed in full force. I saw the first one, the second one, the third one just washed away. I knew these guys were dead." What he didn't know was that he would spend the next two and a half days trapped under the sea praying he would be found. Turning away from his only exit, Okene was swept along a narrow passageway by surging water into another toilet, this time adjoining a ship's officers cabin, as the overturned boat crashed onto the ocean floor. To his amazement he was still breathing. Okene, wearing only his underpants, survived around a day in the four foot square toilet, holding onto the overturned washbasin to keep his head out of the water. He built up the courage to open the door and swim into the officer's bedroom and began pulling off the wall paneling to use as a tiny raft to lift himself out of the freezing water. He sensed he was not alone in the darkness. "I was very, very cold and it was black. I couldn't see anything," says Okene, staring into the middle distance. "But I could perceive the dead bodies of my crew were nearby. I could smell them. The fish came in and began eating the bodies. I could hear the sound. It was horror." What Okene didn't know was a team of divers sent by Chevron and the ship's owners, West African Ventures, were searching for crew members, assumed by now to be dead. Then in the afternoon of May 28, Okene heard them. "I heard a sound of a hammer hitting the vessel. Boom, boom, boom. I swam down and found a water dispenser. I pulled the water filter and I hammered the side of the vessel hoping someone would hear me. Then the diver must have heard a sound." Divers broke into the ship and Okene saw light from a head torch of someone swimming along the passageway past the room. "I went into the water and tapped him. I was waving my hands and he was shocked," Okene said, his relief still visible. He thought he was at the bottom of the sea, although the company says it was 30 meters below. The diving team fitted Okene with an oxygen mask, diver's suit and helmet and he reached the surface at 19:32, more than 60 hours after the ship sank, he says. Okene says he spent another 60 hours in a decompression chamber where his body pressure was returned to normal. Had he just been exposed immediately to the outside air he would have died. The cook describes his extraordinary survival story as a "miracle" but the memories of his time in the watery darkness still haunt him and he is not sure he will return to the sea. "When I am at home sometimes it feels like the bed I am sleeping in is sinking. I think I'm still in the sea again. I jump up and I scream," Okene said, shaking his head. "I don't know what stopped the water from filling that room. I was calling on God. He did it. It was a miracle." This month on Economic Lifelines Nigeria we look at Nigeria's Sugar Master Plan, an initiative aimed at reviving the sugar industry and a key component of the government's Industrial Revolution Plan. Economists say that currently, the reference points used for Nigeria's economic statistics are outdated and no longer useful for any proper analysis. As CCTV's Deji Badmus reports from Lagos, despite the high GDP figures some expect, there is a lot that needs to be done to improve living standards for ordinary citizens. Nigeria's Minister for Agriculture, Dr. Akinwumi Adesina, was awarded the prestigious Forbes Africa Person of the Year defeating four other prestigious nominees for this continent wide prize. "I am truly honoured and humbled by this prestigious award but the candidates who really deserve to be here on this platform with me tonight are much worthier than us all – and these are the new cadre of young, business guru's across Africa who have discovered the hidden gem for sustainable wealth creation on our continent - Agriculture," said Adesina. the need to feed Africa's fast growing population." agriculture to wealth creation, away from poverty reduction. Within two years of his taking office, Adesina turned agriculture away from being a development program into a business activity generating wealth for millions of farmers. "I am not a billionaire or millionaire, and I don't want to be either," he said. "My satisfaction is using agricultural business and finance innovations to turn Nigerian and African farmers and agribusinesses into millionaires and billionaires. 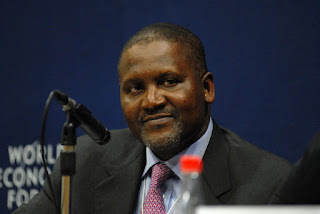 Indeed, with the likes of men like Aliko Dangote, Africa's richest man, going back to the farm too, it is no surprise that this is happening. Who wouldn't want to be a billionaire?" His Growth Enhancement Support Scheme (GES) ended four decades of corruption in the fertilizer sector, eliminating the middlemen and scaling up food production to nine million metric tonnes in the first year -almost half of the 2015 production target. To further enhance this process, he introduced an Electronic Wallet System which allows smallholder farmers to receive electronic vouchers for subsidized seeds and fertilizers directly on their mobile phones and enable them to pay for farm inputs from private sector agricultural input dealers. The system has reached over 6 million farmers and enhanced food security for 30 million persons in rural farm households especially women farmers - who never got fertilizers and seeds for decades under the old government system - now having better yielding fields with subsidized farm inputs received on their mobile phones. Chairperson of Nigerian Women Farmers Association Mrs Lizzy Igbine, said of the Minister "We have never seen any Minister who works so hard to improve our lives. He has returned dignity to us as farmers". With the success of the electronic wallet system, Nigeria has become the first country in Africa to reach farmers with subsidized farm inputs through their mobile phones. The impact is already being noticed beyond Nigeria with several African countries, Brazil, India and China now expressing interest in adopting the electronic wallet system in their agriculture sectors. 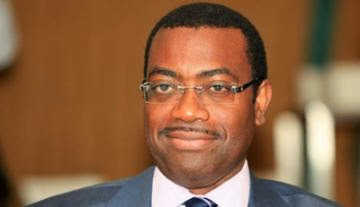 Adesina has championed African agriculture for over two decades, defending the poor and helping several African countries to develop innovative solutions for reaching millions of farmers with finance, farm inputs and supportive policies. His reform in the agricultural sector has provided job opportunities for Nigeria's teeming youth population, creating over two million new seasonal farm and non-farm jobs, half way to meeting the 3.5million target in 2015. In recognition of Nigeria's reforms and progress, global and domestic investors have signed over USD 4 billion of executed letters of investments to boost Nigeria's agriculture. The World Bank, African Development Bank and other global development finance institutions have put up over USD 2 billion in support of his bold initiatives. turning it into Nigeria's new oil" said Tony Elumelu, Chairman of Heirs Holdings. Often referred to as 'Africa's leading development entrepreneur', he was appointed by the UN Secretary General Ban Ki Moon as one of the 19 global leaders, along with Bill Gates, to help the world to achieve the Millennium Goals. Bill Gates, who sits on the Eminent Persons Group that advises on Nigeria's agriculture, called Adesina's policies and reforms of agriculture "extraordinary". Sharing his vision for a food secured continent, Adesina said he dreams of a future where Africa's vast savannas are revived with crops, where large commercial and smallholder farmers co-exist and both prosper. Where rail, road and port systems are improved. Where open international markets enable more food to move from places of surplus to places of need.Where rising incomes bring millions of farmers into Africa's emerging middle class. "I know the roadmap toward that vision for Africa is challenging but we are already seeing progress and we now have the confidence to achieve even greater results. For agriculture was Africa's past and in agriculture - as a business - lies Africa's greater future," he added. Vincent Enyeama stayed in top form to help 10-man Lille win 1-0 away at Valenciennes on Saturday after Franck Beria was sent off. 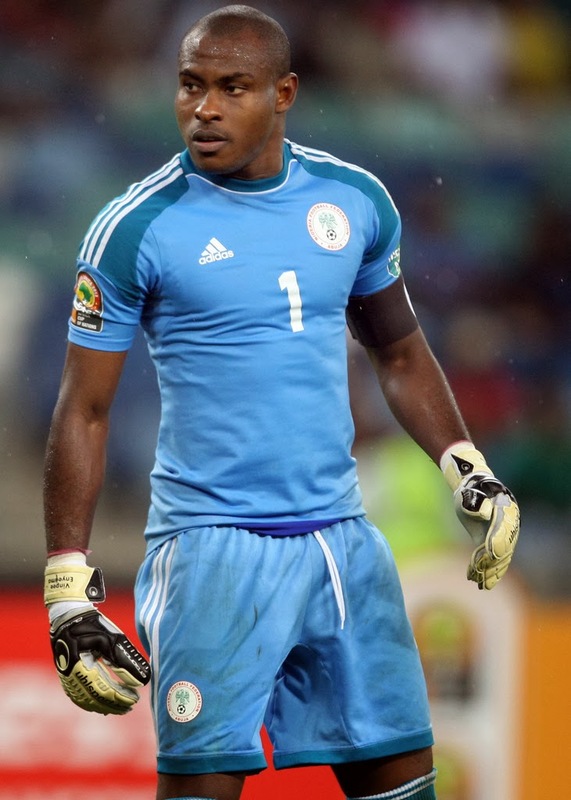 The Nigerian has now gone 945 minutes without conceding a goal as Lille have not lost in 10 matches. He is closing in on the Ligue 1 record of 1,176 minutes held by Gaetan Huard during the 1992-93 season with Bordeaux. He was voted the best player in the French top flight for the month of October. Substitute Ronny Rodelin scored the only goal for Lille in the 47th minute. "It wasn't easy, I think we went through every type of emotion," Lille coach Rene Girard told media. "Ten matches in a row without conceding a goal, that's a first in my career," added Girard. "It shows the character of this team." Lille are in the top three behind Monaco and PSG.